In the Atlanta Hawks' 119-114 come-from-behind win over the Chicago Bulls, the home team blew a 110-100 lead in the final four minutes of the game. Ouch. That has to hurt. To be outscored 19-4 in the most important minutes of the game, especially after stellar efforts from Dwyane Wade and Jimmy Butler, hurts, sure, and the Bulls stars blew up after the Hawks comeback was in the books. Afterwards, Wade and Butler took turns questioning the efforts of their teammates, but not themselves, which while looking selfish from the outside, seems appropriate anyway. Wade and Butler have been great this season, while the rest of the team either suffers from lack of talent or the Rubik's Cube treatment that Fred Hoiberg has used for all the other positions. Nikola Mirotic, Doug McDermott, Jerian Grant, Rajon Rondo, Michael Carter-Williams, et al have all, at one matchup or another, rotated through the starting lineup, leaving the team rudderless, with the exception of Butler and Wade. That they don't execute well late in game may not be such a surprise as a result. But I am burying the lead here -- this isn't the first time the Bulls have apologized/questioned themselves after a loss to the Hawks. Why, it just happened a few days ago! That performance was AWFUL!!! I apologize to all the Chicago fans and Wade fans. This was after the Hawks win on January 20th where the Hawks blew out the visitors, though Budenholzer did have to go back to the starters after a strong fourth quarter start by the Bulls forced the Hawks to close the deal with the regulars. So, two games, two looks inside by Wade, who was no doubt used to beating the Hawks when a member of the Heat, especially in the LeBron James era. Just for fun, let's remember another highlight of the Wade era in Miami in regards to the Hawks, shall we? Ah, Mr. Holman. Never change, sir. Anyway, Wade may be used to beating the Hawks, but should the Bulls really expect to beat the Hawks so much that it needs to self-inspect after each loss? Hmmm, I am starting to see a pattern here. Is it such a disgrace to lose to the Hawks? Seems like a win should result in an old fashioned rushing of the court in Chicago. Heck, the Hawks even won in the preseason this year, too! The Hawks play one more time this season, in Chicago, April 1st. Maybe things will have changed in Chicago by then. Maybe Fred Hoiberg will still be coach or finally have figured out the PG position on the team, just a tiny important piece to the puzzle. Any which way, maybe they should brace themselves for a Hawks win and save the apologies for games against the Nets. 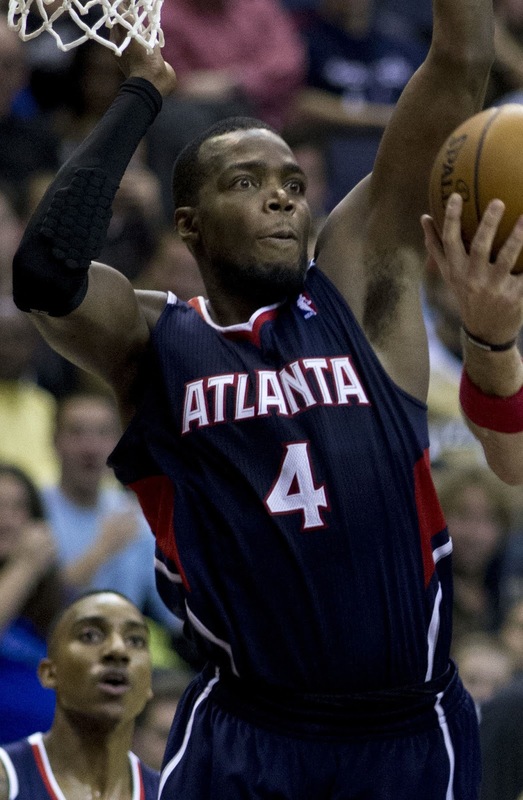 Paul Millsap was supposed to be dealt, but now it looks like he is not going anywhere, no sir. Out is the notion that the Hawks have detonated this team and in is the notion that Millsap is too valuable to let get away. What changed? Let's break it down just a smidgy. 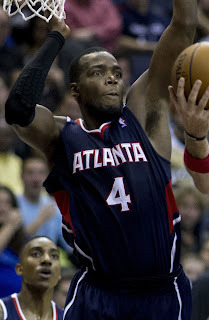 What was said: "Paul Millsap is too valuable to trade"
Translation: We shopped him, but teams took a look at his contract, his opt out and what the Hawks wanted in return for the All-Star and said, "Ummm, not at this juncture, no." Result: No Millsap trade, yet. What was said: "Hawks are determined to compete in the Eastern Conference"
Translation: "Holy crap, this conference is so flat we've won six in a row and are in 4th place!" Result: It's hard to take anything less than the best possible deal for Millsap when you are reasonably well placed in the playoff hunt. WHAT DOES IT ALL MEAN?!?!?!! 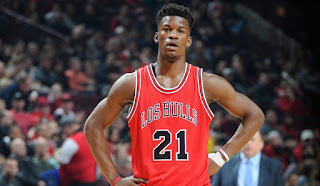 What it means is that the Hawks would have traded Millsap if someone like the Raptors had come across with Jonas Valanciunas, Norman Powell and a pick, but since no trade like that emerged, and the Hawks are suddenly three games and two spots behind those same Raptors, why take a lesser deal than you want when you can kick the can two months down the road and see where you are? The trade market for Millsap will not go away unless he is injured, a possible scenario of course, but the Hawks can hold for a little while as they see where all of this goes and open the market back up if things change. The Hawks have figured out their defense and are back to being the second best defense over the past 10 games and first over the last five games. The offense still needs help, as it is middle of the pack over the last five games, but their net rating is back up to third best. Perhaps improvement in Dennis Schröder is part of that -- over the last five games he has played slower in pace, but raised his efficiency and lowered his personal defensive rating. Also, part of the recent spike for the team may have addition by subtraction because (hold on, I'm getting emotional) the departure of Kyle Korver took the lowest net rated player this season and the 28 minutes per game he was getting, replacing it with more minutes for the much higher rated Tim Hardaway Jr. and Thabo Sefolosha. Does it mean the Hawks secretly infected the Cavs with Korver and have now turned the tables on the defending champs? Maybe! And that's a better outlook than the Hawks had 10 games ago when all of this began to take shape. Always love comments in the comments area -- reply SLAs are posted in THHB offices under lock and key.